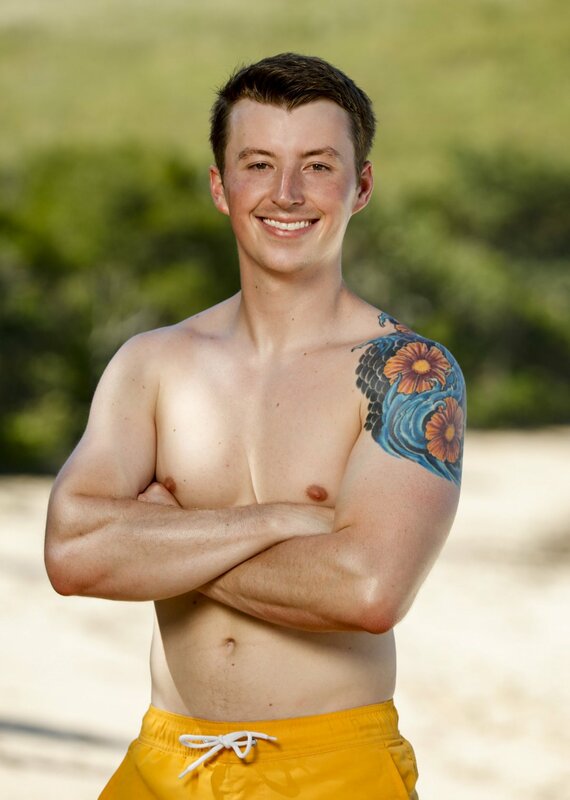 Gavin, a 23-year-old YMCA program director from Erwin, TN, revealed to Entertainment Weekly he had to change the date of his wedding and alter all of his wife's plans to be participate in Survivor: Edge of Extinction, which was filmed in Fiji last year. "The biggest obstacle I had to overcome in my life happened two days before I got out here [to Fiji]," Gavin shared. "I changed my wedding day to come out here... I was supposed to get married May 27 in the United States. I got this call, 'You're on Survivor!'" Gavin learned that Survivor: Edge of Extinction's production schedule called for him to already be in Fiji on May 27, as filming was set to begin on May 30. "We'd done [and] sent out invitations, we'd done everything. And we took it all back," Garrett admitted. Gavin's Survivor casting resulted in many last-minute changes for the bride and groom-to-be as well as their wedding guests. "We changed venues, sent out new invitations, got new everything. And I got married two days before flying out here, just so I could come play this game," Gavin said. Moving up his wedding demonstrated "how much Survivor means" to him, according to the castaway. "And luckily I have a wife -- I can say wife now -- who loves Survivor also. So any other thing that would have come up, it wouldn't have happened," Gavin told EW. "But yeah, that was a huge obstacle. It was the most stressful month of my life. I should have been training for this, but instead I was planning a wedding." In addition to working out the details of his wedding ceremony and reception, Gavin also said he and his wife were in the process of "moving into a new house." Gavin, however, insisted his wife is thrilled about his opportunity to compete on the long-running CBS reality competition series. "My wife didn't believe it because ever since we've been dating, I've told her I was going to be on Survivor. And it's become one of those things like saying you're going win the lottery, it's one of those chances," Gavin explained. "And she knows my love for the game. That's what I told [Jeff Probst] and those guys in casting. On Valentine's Day, she would get me the buffs, and so I have the love for the game and she knows that." Both families were also apparently aware of how much Gavin and his wife love the game. "And that's the reason I'm out here is because they made sacrifices also. Instead of me having to worry about it all, her having to worry about it all, they all made sacrifices out of their lives to make the wedding happen," Gavin said. "So if the wedding didn't happen, I wouldn't be out here." Gavin made it to the merge in the Survivor game and became a member of the Vata tribe. Gavin was working comfortably in the majority alliance comprised of former Kama members, but in the latest episode, Gavin decided to rise up with fellow young players Victoria Baamonde and Julia Carter to vote out ally Eric Hafemann, who they deemed a huge threat. Gavin, Victoria and Julia began to worry they were on the bottom of their alliance and would eventually be replaced and picked off one by one by Eric and Ron Clark, the leaders of their alliance. Gavin proved he is certainly playing the game now, and viewers will be interested to watch his next move on the upcoming April 10 broadcast of Survivor: Edge of Extinction.